If you're already trying to look your best by working out, why not choose an excellent performance shirt, too? You're all about making good decisions, so opt for this CAT Apparel Men's 1630003 10642 Navy Blue Flame-Resistant Long-Sleeve Performance Crew Shirt. It h ... (see full details) (see specifications) #CAT1630003-10642. If you're already trying to look your best by working out, why not choose an excellent performance shirt, too? You're all about making good decisions, so opt for this CAT Apparel Men's 1630003 10642 Navy Blue Flame-Resistant Long-Sleeve Performance Crew Shirt. It has flame-resistant fabric to guard you around some fire hazards (you know, when you're muscles get so toned they burst into flames...), and the moisture-wicking properties of the men's shirt make sure you stay comfortable all day. 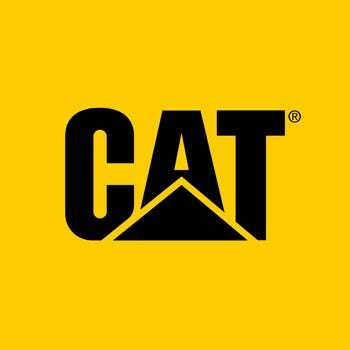 The CAT shirt meets the following certifications: UL certified to NFPA 2112, NFPA 70E, and HC/ARC 2 with an ATPV value of 8.2. You now know that this navy blue shirt means business. It features an ergonomic, athletic cut with section seams for comfort, performance, and versatility. Raglan sleeves and flatlock and coverstitch seams are incorporated in the design to give you freedom of movement, as well as non-irritating seams. There's also a tagless back neck for even more comfort. Since you'll want this long-sleeve shirt to last a long time, it's designed with durable materials: 6.7-ounce (227 grams) of 45% modacrylic, 35% lyocell, and 20% meta-aramid. The fabric is soft and breathable, and it provides superior moisture management due to a special cellulose fiber blend. The hydrophobic/hydrophilic moisture-system will provide you with comfort. This includes an anti-odor treatment as well - you'll be covered in more ways than one. So you'll have durability while the flame-resistant shirt also retains its softness and color, while having a long life cycle. Along with incredible softness and breathability, the rugged fabric of the men's workwear is designed to retain its strength and shape. There's a rib collar for shape retention, and the two-tone design of the men's crew helps you show off some of your own personal style. A logo print on the left chest of the CAT workwear will give you bragging rights at the gym - because when you're wearing CAT apparel, you're in good hands. Feel great and look great by ordering this CAT Apparel Men's 1630003 10642 Navy Blue Long-Sleeve Performance Crew FR Shirt today - it's available right here at Working Person's Store! The shirt looks good and is light weight which is good for working in East Texas summer heat, but the collar of the shirt is stretched out so much it looks ridiculous! It also fits pretty big. I normally wear an XL, but this shirt was too big and I had to return for a large. Even the smaller size had a huge collar. So unless you've got a huge neck or seriously jacked, this ain't the shirt for you. CAT Apparel Shirts: Men's 1630003 10642 Blue FR Long-Sleeve Performance Crew Shirt is being added to your cart.